What is Site Build It: This company trains people to earn income online. Undoubtedly, many people ask: What is Site Build It? Notably, this company which is now called “Solo Build It” is an online platform that offers training for you to create websites and earn income from them. What is Site Build It? Certainly, it promotes a unique and effective method: Content >> Traffic >> PREsell >> Monetize. Specifically, they offer several tools which include keyword research and steps to build your website. In addition, they also offer hosting, and they have an active forum. Of course the many tools were some main attractions when I signed up to do the training. Certainly I did not know how to create an online business, so I needed all the tools to help. 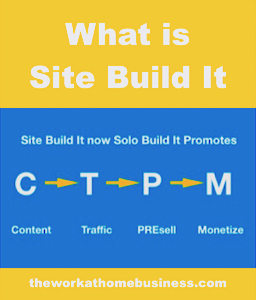 No doubt I was curious to get answers to the same question you may be asking: What is Site Build It? In this post, I share my experience using Site Build It, and I hope to give you a better understanding to the question: What is Site Build It? To explain, I came across Site Build It (now called Solo Build It) and popularly named SBI in the heat of Christmas 2012. While surfing the web for work at home opportunities, a message flashed before my eyes and it was for a special with SBI. No doubt, I thought that this was a great opportunity, so after scrutinizing the details, I decided to take up the offer. As a matter of fact, it was a buy one, get one free opportunity. In light of this, I thought that I could make a purchase and give one to a family member who had similar interest to build an online business. First of all, to help answer the question: What is Site Build It? (Solo Build It) It promotes a C >> T >> P >> M method to build online success. To clarify, it is Content >> Traffic >> PREsell >> Monetize. In other words, SBI encourages you to turn your knowledge into Content which attracts Traffic. Once there is traffic, you presell and convert your visitors into money. Of course, SBI considers this as an established solution to generate income. To point out, they strongly reinforce the importance of this C >> T >> P >> M method, and you should make every effort to understand this process from day one. With all good intention, this method surely works, but it can be frustrating especially to newbies who are seeking a simpler way to learn. To put it another way, it is very comprehensive and there is too much material to go through especially if you do not understand something. To point out, the program has training videos too. It targets anyone who wants to earn. In other words, the training is for anyone who wants to build an online business. For instance, newbies who want to earn online from home. For instance, those who are retired or students who are looking to earn extra cash. Then again, there are the stay at home parents, be it mom or dad. Emphasizing, it is for anyone who wants to work from home and earn extra income. In general, SBI training is very comprehensive with lots of videos and a written guide . Important to note here that the training is labeled as the Action Guide. To explain, this guide takes you through 10 days of comprehensive training. However, the time to complete it does not have to be within that time frame. As a matter of fact, they suggest a slow turtle pace is better than a rapid one. To point out, SBI sets out the big picture with Days 1 – 5 being the time when you make a thorough plan for your website and select the ideal domain name. For Days 6 – 10, you create your website with the C >> T >> P >> M method in mind. As a matter of fact, SBI claims that during this time, people will find your website. Likewise, as you grow you will earn money from there on. Emphasizing, each day has different goals and there are several steps to follow. Here are the examples. Day 1 has three steps to follow with the goal set for you to get the picture of the C >> T >> P >> M method. To clarify here, you must first know how and why pre-selling increases profits. Secondly, you must carry through the pre-selling experience. Thirdly, “monetize, maximize conversion rate and profits.” Of course, they tell you how to follow up on each step. Pursuing this further in day 2, the goal is to identify and work on at least 3 site concepts. With attention to this, you should use the ‘Brainstorm It tool’ to research keywords for these three concepts. For this, there are four action steps to follow. Make a list of possible concepts for your site and choose the top 3. Do research with the ‘Brainstorm It’ tool. Evaluate the profitability of your concept bearing in mind the depth of your niche and the potential to monetize it. Use the ‘Niche Choose It’ tool to find the best concept for your site. Finish brainstorm keywords for your site content. Find more keywords and add them to your site concept. Work on the blueprint for the content of your website. Following this further on day 4 is the time when you dig into the different options to monetize your site. The goal here is to research monetization methods and come up with the ones that are suitable for your website. With this in mind, there are six steps to follow as listed below. Research the profitability of your site concept. Read the monetization articles to identify the best methods. Check out the forum on monetization methods. Use the ‘Search It’ tool. Use the ‘Brainstorm It’ tool. Decide on your monetization methods. Even though you have been doing all that research and brainstorming, you are not directed to register your domain until day 5. The goal for this day is to fine tune the concept of your site and then register your domain. In view of this, there are seven steps to follow. Check before you register your domain. Notably, for day 6 the goal is to create a website that satisfies the search engines and your visitors. In light of this you write content to ‘get the click.’ For this day, there are ten action steps. Lay out the structure for your site content following the pyramid plan. Use ‘BlockBuilder’ tool or your own HTML. Create a site with a professional look. Set up your home page and footer, then edit. Use the ‘Verify It’ tool to confirm ownership of your site with Google, Bing and submit your sitemap. Create a Tier 2 page and edit it, then link it to your home page. Arrange the navigation of your site. Build a tier 3 page and link it to tier 2 and your home page. In addition, link to tier 3 from tier 2. Remember to edit. Use the following tools: Link Library, Reusable Library, Fav It, and Quick Upload It. Another key point in the training is the focus on building free targeted traffic. For one thing, this brings pre-customers who read your content, become pre-sold, and monetize. In fact, you are cautioned about paid traffic, because once you discontinue payment to other companies, that is when your traffic stops. In fact, your business stops too. Obviously, the goal for day 7 is to build your own free targeted traffic. For this day, there are four action steps. Inject Content 2.0 requests to some of your content pages. Important to note here that the videos will explain the meaning of these terms. With attention to this, the goal is to build the ideal, and target return visitors and customers to your site. In reality, you want them to be happy, so create possibilities for them to return. To put it another way, reach your visitors with more content. By all means, the C >> T >> P >> M approach is emphasized again for day 8. With this intention, there are six action steps which are as follows. Embrace the importance of content through repeat exposure. Build relationships by adding ‘Socialize It’ button, Face It which includes Facebook like buttons and comments to your pages, Twitter follow button and Google+. Following this you can also add the ‘Form Build It’ to add contacts and autoresponder options. In addition, you also add videos to your site. Interact with customers via email. Write an e-zine email to them. Launch a Facebook page for your business. Use ‘Infin It’ to start a blog, forum, or a membership group. Even though this sounds like a mouth full here, remember that the turtle’s pace is encouraged. Seeing that you have traffic to your website, it is good to know your visitors. The goal for day 9 is to use the traffic reporting tools in the Traffic Center of Site Central. Notably, knowing your traffic can help you to increase your income. There are three action steps for this day. Check into your Click Through Analysis. Look into your Click In Analysis. Together with good content, targeted traffic, social media, links from different origins, and pre-selling you now have a good footing to apply your monetization plan. The goal for day 10 is to start applying your day 4 monetization plan. There are four action steps for this day. Determine if the time is right to monetize. Revise, rewrite and execute your monetization plan. Continue to move forward with theC >> T >> P >> M approach. Remember this is central to the training. Overall, I think SBI is quite profound. Despite the fact that there are some negative reviews, there are positives too. Many tools are available for you to build a website that can generate income. For example there is a keyword research tool called BrainStorm It, a Site Builder to build your website, Socialize It and Face It for your social share buttons, and Mobilize It, a mobile friendly tool. In particular, the Content 2.0 allows you to send an invitation to visitors asking them to share their stories. For one thing, this allows contributions from your visitors, but you need to give the approval. Of course there are other tools, just to name a few. As long as you follow the training and use the tools well, it is possible to earn money from your online business. 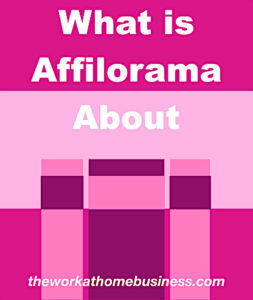 This is available in videos and written format to deepen your understanding of what you need to know. It must be noted that a WordPress option is now available to build your website. In case you are not satisfied with the training you can always get back your money within the 90 days limit. SBI community focuses on forums. There are several topics and these are very helpful especially when you need suggestions or answers to your questions. No Free Training: SBI does not offer a free training period. Unfortunately SBI only allows one website upon payment. Important to realize here that you pay $299.00 annually for membership. In the event that you would like another website, you have to pay again. The owner does not make himself available to interact with members. The course is too drawn out with words, a simplier version can be more appealing. In case you would like a free option to build a website, you can click this link right here. In conclusion, I hope this post gives some clarification to the question: What is Site Build It? I recommend Site Build It, (Solo Build It) for those who would like to create an online business their way as outlined above. No one denies that it offers a very comprehensive training for you to build a business online. I still have a website with them. In case you have a niche in mind, then by all means give Site Build It, (Solo Build It) try. They have a WordPress version now and you can build a great website. Now that you know What is Site Build It, you can compare it with another option to make sure it is the right training for you to build your online business. By all means take a look at another option to compare what is offered. Assuredly, this my #1 choice for several reasons. For one thing, this option which is Wealthy Affiliate offers a more appealing training. First of all, you can build several websites with them at no extra cost, and you can do so for FREE. Notably, there is no need to use a credit card to start your training. Neither do you have to download a guide or watch a series of videos. In fact, it is like a university with thousands of like-minded entrepreneurs who want to earn an income online. All the resources for your online success is provided step by step. For instance, there is ongoing live training, lots of tools, and an the best online community and of course lots of support. Needless to say, I have had better success with them. Click the link below and see if it can be yours too. Take a Look on the Inside Here. Rest assured that there is no need for a credit card, because you can build your awesome website for free. Site Build it seems like a genuine opportunity to earn online but fortunately I found Wealthy Affiliates which I agree is the best program to learn how to build an online business. Thanks for the review on site build and I wonder if they still have that 2 for 1 thing going on. No doubt Site Build It is genuine. The fact that Wealthy Affiliate offers much more for your bucks is definitely more attractive. I am not sure Site Build It has the 2 for 1 offer right now. Hello there! I’m looking for a part time job online. I heard great things about creating website and start earning money through it. I have no idea where and how to start up until I read your review about Solo Build it. I think it’s a great program that will help me but which program do you think that will truly help a person like me who doesn’t have a lot of money to invest? Solo Build It is indeed a great online platform where you can build a business online and earn from it. However, they can be a bit pricey. Here is my #1 recommendation, Wealthy Affiliate. You can start for free here and then upgrade to their premium if you so desire. Of course, they are much cheaper than Solo Build It. Hi Carol! For some time, I’ve been looking for a way that I can make some extra money. I have met some possibilities. I actually found Site Build It. It actually do not seem to look so bad. I have worked a part in wordpress. But still missing a lot about SEO and context. I can have my pages at a significantly cheaper host. My question is, would not be a good idea to get the instruction here and keep my websites somewhere else? If you are not satisfied with Site Build It, then by all means you can hosting elsewhere. You need to check them and see what their process is. Check my #1 recommendation for hosting and all your SEO needs. If you are still paying for Site Build It, then you should have access to their training.